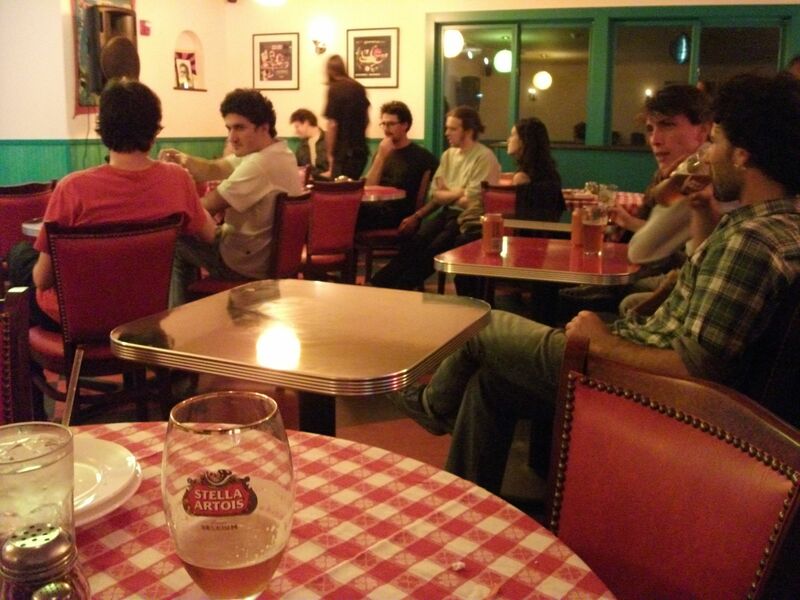 Righteous pizza attracts most guys—and a lot of girls. Add live music to the mix, and it’s dude heaven. Two Boots, a Cajun-Italian eatery founded downtown (the East Village) in 1987, has delivered this winning combination—in New York City (eight locations), Los Angles, Baltimore and Nashville, too. 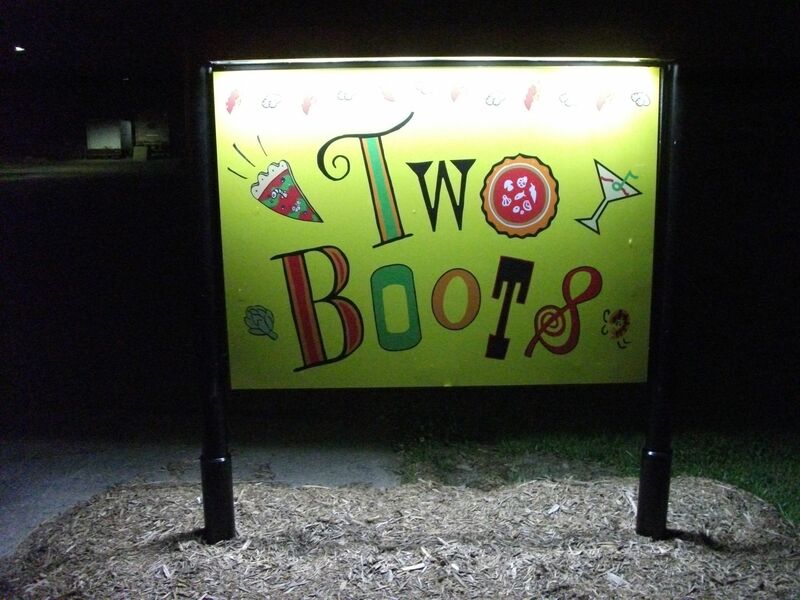 This spring, owner Phil Hartman opened a new Two Boots locale upstate: at Annandale-on-Hudson, across from Bard College (where Hartman’s two daughters recently graduated and where he is an honorary alum as well). 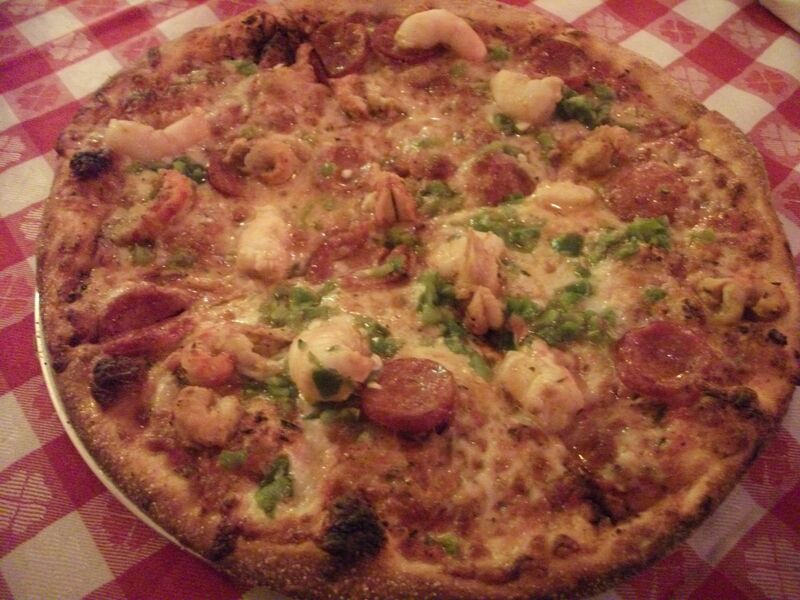 …and found much to like—a kick-back, mellow vibe; the surprisingly tasty house salad; cool microbrews, like Purple Haze and Porkslap Pale Ale; and the “Bayou Beast” pie we shared—shrimp, crawfish, Andouille sausage, jalapenos and mozzarella on Two Boots’ classic cornmeal crust. My full review at the Red Hook Observer here. This entry was posted in Food, Hudson Valley, Restaurants, Travel and tagged Bard College, Cajun, Phil Hartman, pizza, Two Boots Bard. Bookmark the permalink.